This Halloween, players of Pokemon GO will experience exciting treats from Niantic Labs, Inc. and The Pokemon Company International. 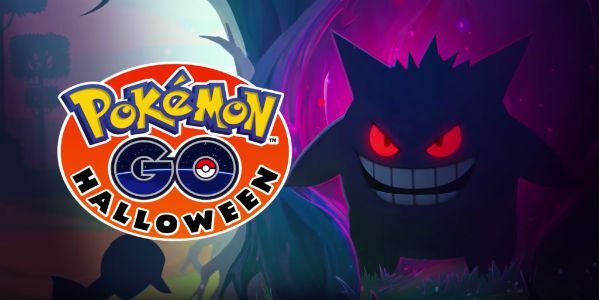 Beginning Wednesday, October 26 (today), through Tuesday, November 1, Pokemon GO Trainers will have the chance to catch some of the spookiest Pokemon available in the game with increased global encounters of Drowzee, Gastly, Gengar, Golbat, Haunter, Hypno, and, yes, Zubat. And, since it wouldn’t be Halloween without candy, Trainers will have the opportunity to earn more Pokemon Candy during this event as they explore the world around them in search of Pokemon. During this period, every Pokemoncaught will earn Trainers six Candies—twice the normal amount. The professor will also give Trainers two Candies instead of one for every Pokemon transferred to him. In addition, Buddy Pokemon will award four candies instead of the usual one. Pokemon Candies enable Trainers to evolve or strengthen their Pokemon, so players will want to walk and catch all the Pokemon they can to get their fill of Candy during this special event.